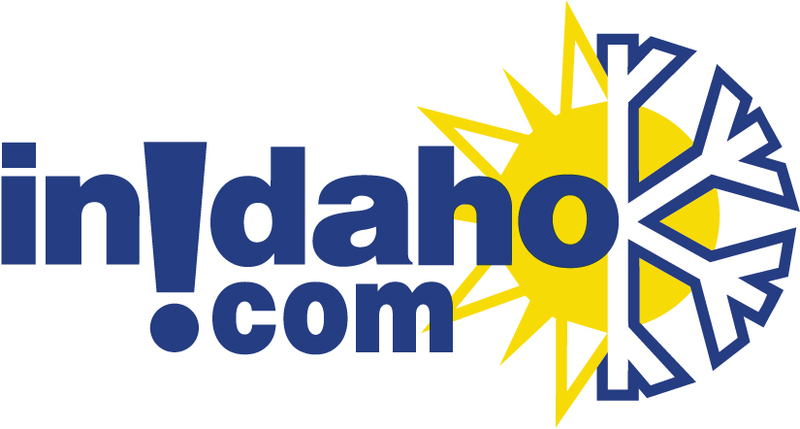 Idaho's most famous course and home of the floating green, this course sits between the mountains and the lake. 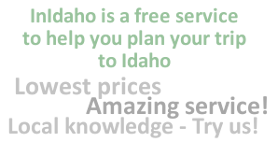 The Coeur d'Alene Resort Golf Course was designed to offer a pure golf experience, free from interruption. Resort guests are the only members. The carts offer on-board ball washers and waste receptacles, and every group is accompanied by a uniformed fore caddie. Designer Scott Miller's vision was that the Coeur d'Alene Resort Golf Course be remembered not only as a great golf course, but also as an incredibly beautiful park. The 6,767 yard, par 71 course is designed around four distinct geographic features: an expansive lakeshore, a forested ridge, gently rolling woodlands and Fernan Creek, a revitalized trout stream. With four tees on each hole, bentgrass fairways and manicured greens, the Coeur d'Alene Resort Golf Course is challenging, yet forgiving, playable by golfers of all ages and skill levels. Scott Miller, worked with the Jack Nicklaus Organization for 10 years. 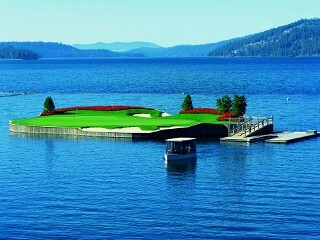 We do not have any current pre-built packages for Coeur d Alene Resort Golf Course . Golf this world class course with cart, caddie, unlimited balls and complimentary massage at the range. In addition, you'll leave with your name engraved on a bag tag of the famous floating green. 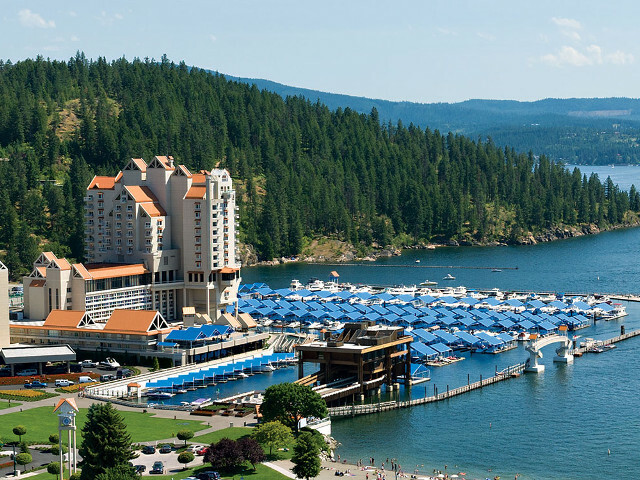 Stay the lovely Coeur d Alene Resort to enjoy guest privileges and rates at the Coeur d Alene Resort. Please note: Guest reviews may mention certain amenities that may no longer be offered with Coeur d Alene Resort Golf Course . Please check the amenities prior to booking to confirm. "The restaurant by the Floating Island was just great, staff terrifc. Our caddy, Aaron was just super. The pro shop had no sale items, and only carried pricey items. I didn't buy anything, but Grant got a nice tee shirt. " "every golfer needs to meet this course personaly it will get all your respect"
"For how busy the Resort was when we were there(mid-week) I thought the rooms could have been better or atleast an upgrade for a reduced charge."